With Caldwell, ID homes for sale in Heritage Meadows, you'll enjoy an outstanding value on a single-family home with pricing starting in the mid $100s. Homeowners in this cozy subdivision enjoy Vallivue Schools and quick access to nearby amenities. With up to 2,258 sq ft, four bedrooms, and two and a half bathrooms, your new home will give functionality and space for yourself and for entertaining. Heritage Meadows real estate offers a quiet setting and close proximity to shopping, daily conveniences, and recreation at nearby Lake Lowell. Not finding what you are looking for? 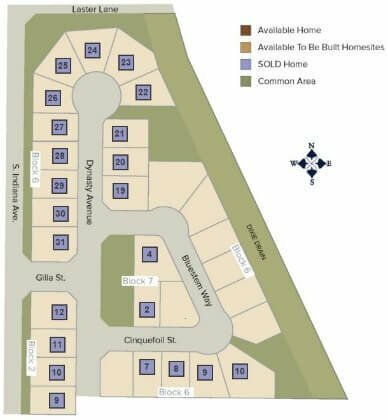 Search all new subdivisions in Caldwell, ID and find the perfect place to call home. From I-84 take Exit 29 heading west on Franklin Rd. Turn left (east) on Cleveland Blvd, then right (south) on Indiana Ave past the Ustick Rd round-about. Turn left (east) on Gilia St - Caldwell, ID 83607. To learn more about Caldwell homes for sale in Heritage Meadows, contact us online or call our Caldwell ID real estate specialists at (208) 391-4466 today.